Mounted Shelving units are an essential for any home. Bigmickey.ie has a wide range of mounted shelving units in a variety of styles and sizes. Whether you are in need of some extra storage space or you simply wish to update your interior décor, our collection of mounted shelving units has something to suit everyone. From classic to contemporary, Bigmickey.ie has everything to match your preferred style and size to fit your space. The Cypress Ladder Style Wall Rack has five shelves which gradually increase in size. Ideal when space is limited, it offers plenty of storage for books and other decorative items. 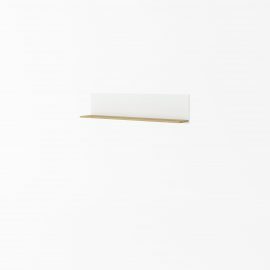 The Maya Wall Shelf has a simple and contemporary design which is the perfect solution for your modern home requirements. Matching living room furniture is also available i.e. dining table, TV unit, sideboards etc.